NEW YORK (CNS) — New York Cardinal Timothy M. Dolan has named a former federal judge to study archdiocesan policies and procedures with respect to sexual abuse by clergy and recommend enhancements directly to the cardinal. Cardinal Dolan introduced Judge Barbara S. Jones, his first special counsel and independent reviewer, at a Sept. 20 news conference at the New York Catholic Center. He said Jones will have complete access to records, personnel and himself to “conduct an independent, scrupulous review” of how the archdiocese deals with accusations of alleged abuse of a young person by a priest, deacon or bishop. She and her team at Bracewell, an international law firm, will have “unfettered access” to examine existing protocols and identify potential deficiencies or noncompliance to the cardinal, she said. “The cardinal told me to leave no stone unturned,” she added. 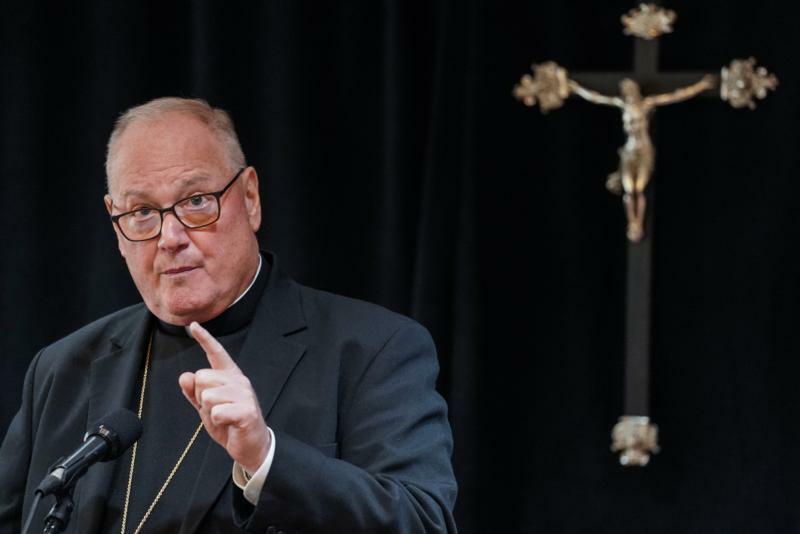 Cardinal Dolan said the archdiocese has made progress in dealing with abuse of minors, but needs to develop a policy to respond to allegations of abuses of power and position. Jones said she would not have accepted the paid contract if Cardinal Dolan had not promised to take expeditious action on her recommendations. Jones is a former prosecutor and assistant U.S. attorney who served 16 years as a judge in the U.S. District Court for the Southern District of New York. She served as chair of a congressional panel on sexual misconduct in the military, conducted a full-scale review of the New York City Police Department’s discipline policies, and was appointed special master in the recent case of Michael Cohen v. United States. In that capacity, she rendered decisions related to 3.7 million documents seized in the execution of search warrants and established procedures and protocols the review materials and make findings and recommendations to the court. Cardinal Dolan recommended the “proven program” for all institutions: church, state, private, educational. “Our attention and sensitivity must be to the victim-survivors, not to institutions,” he said. He said the Independent Reconciliation and Compensation Program would continue. “We want to give all the time and space for victims to come forward,” he said. The program has paid nearly $60 million in its first two phases. Cardinal Dolan said the program had surfaced new reports of past abuse, “the vast majority of which” were known to the archdiocese. He said there have been no reports of new abuse. Cardinal Dolan said the appointment of Jones is a response to parishioners’ pleas for accountability, transparency and action by the archdiocese and an effort to prevent their loss of trust in him. “If I lose the trust of my people and this community, I don’t have much left,” he said. Referencing the Sept. 19 statement of the U.S. Conference of Catholic Bishops’ Administrative Committee on actions to address abuse, Cardinal Dolan said bishops must be held to the same accountability and oversight as their priests when they commit abuse or are negligent in dealing with it. The former cardinal-archbishop of Washington, now 88, was ordained as a priest for the New York Archdiocese. In late June, the prelate said he would no longer exercise any public ministry “in obedience” to the Vatican after an allegation that he abused a teenager 47 years ago in the Archdiocese of New York was found credible. He proclaims his innocence. On July 28, Pope Francis accepted his resignation from the College of Cardinals and ordered him to maintain “a life of prayer and penance” until a canonical trial examines accusations that he sexually abused minors. Cardinal Dolan said the apostolic visitation requested by Cardinal Daniel N. DiNardo of Galveston-Houston, president of the USCCB, would be particularly effective, but he did not know if or when it would take place. Cardinal DiNardo and other U.S. prelates met with Pope Francis at the Vatican Sept. 13 to discuss the ongoing clerical sexual abuse crisis. In response to a question, Cardinal Dolan said he did not intend to post a list on the archdiocesan website of priests who were credibly accused of abuse. “We have published all the names with press releases since 2002. We haven’t put them in one listing; I don’t see why we need to, but I am open to it,” he said.